Discussion in '2018' started by bvc, Oct 6, 2017. I see RCR is doing the A-pillar thing too I guess. I think that’ll look badass on the real thing. puckhogg11, ShadowKnight508, nj9703 and 1 other person like this. 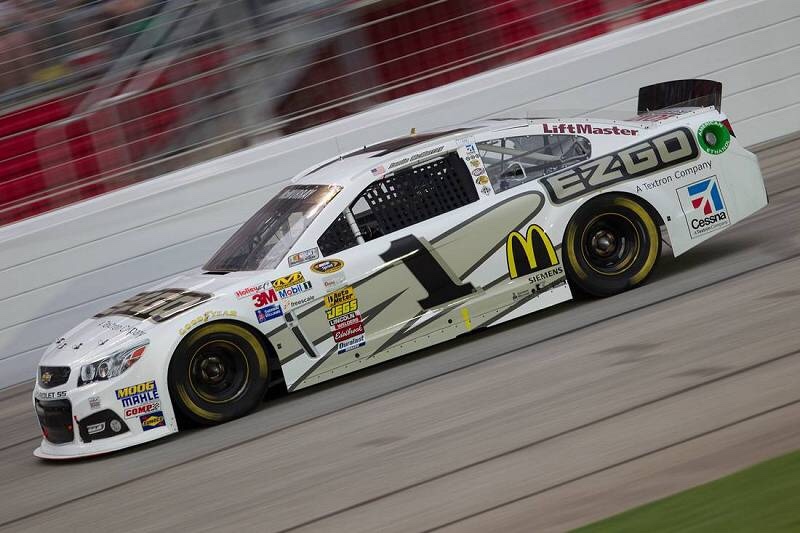 I could swear the last time I saw a car sponsored by E-Z-GO was in 2008 or 2009. Beautiful paint scheme though. E-Z-Come, E-Z-Go, little high, little low, ALL CLEAR! joeykraus19, ThatOneShredder and BrendonH12 like this. starscream24, BrendonH12 and Ceafus 88 like this. Not sure what's happening with the hood, but we'll get a good look at that later, so it doesn't give me a reason to hate this scheme just yet. I like it. Could've used a little more yellow and/or gradient/fade somewhere but it looks good for first impression. puckhogg11 and nj9703 like this. I wouldn't mind if next year's scheme looked something like this.